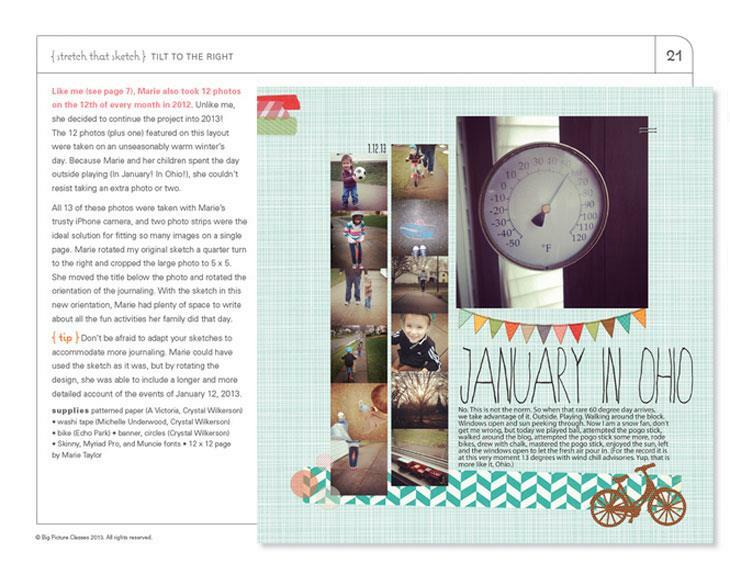 Donna Jannuzzi has done it again! 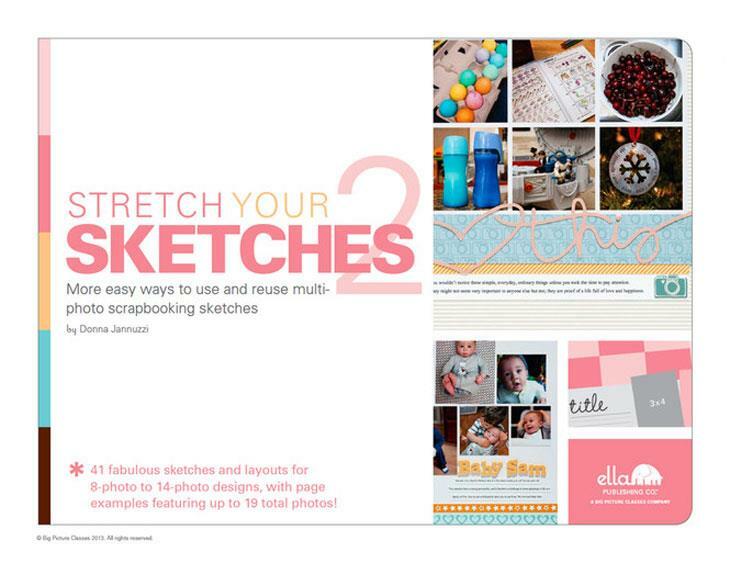 She has gathered 41 fabulous sketches and layouts to inspire your multi-photo scrapbooking—whether you have 8 photos, 14 photos, or even 20 photos to fit onto your scrapbook pages. This sequel picks up where the original Stretch Your Sketches left off. 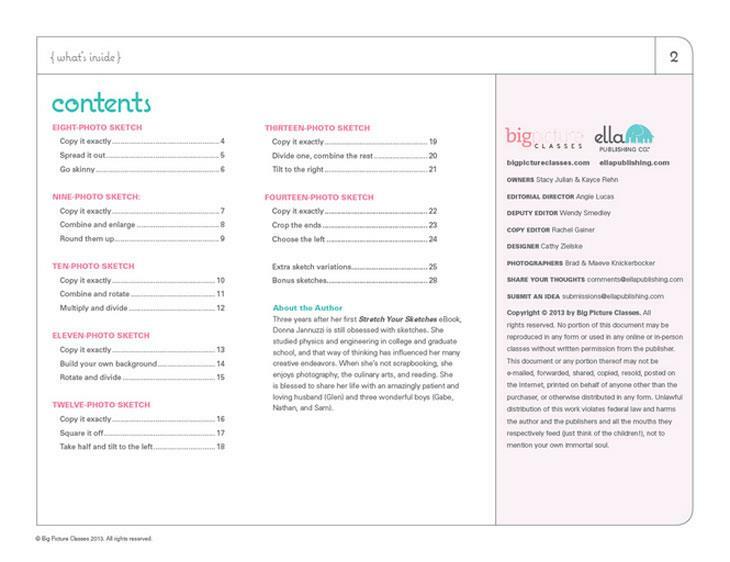 Both eBooks teach solid principles that will help you adapt any sketch to the number of photos you have, to a different size or orientation, or from a single page to a spread. 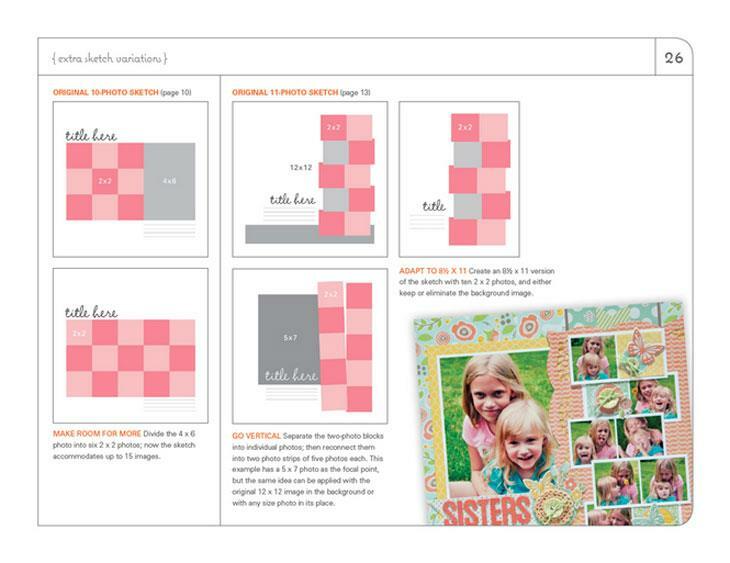 The first eBook covers one-photo to seven-photo designs, while the sequel covers 8-photo through 20-photo designs. 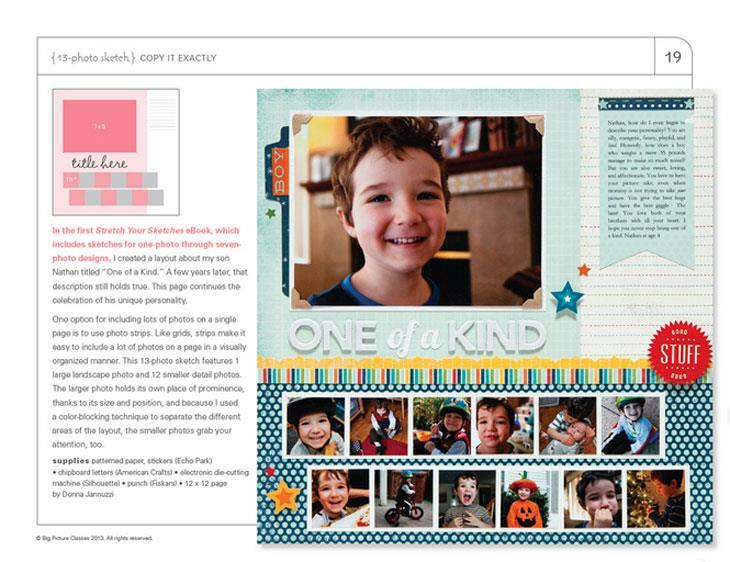 Donna Jannuzzi has been obsessed with sketches since she first started scrapbooking in 2006. She studied physics and engineering in college and graduate school, and that way of thinking has influenced her many creative endeavors. When she's not scrapbooking, she enjoys photography, the culinary arts, and reading. This is her second book.